Design This Life! - Discover powerful life lessons when you remember to smile more with gratitude and love. Create a mindset to deal with tough times and and hardships. How to meditate has become increasingly more important in recent years with the rising popularity of meditation. The relaxing practice of meditation helps you get in touch with your inner self and find your focus. It is important to realize that meditation also helps you develop a sense of balance in your life. More and more people are catching on to its healing properties. Meditating can help you to relax, refocus your mind, get in touch with your inner-self, and find your balance. One of the most obvious benefits of meditating is relaxation. Meditation forces you to quiet your mind, forget your stress, and truly be present in the moment. This helps to encourage relaxation. The less you focus on what’s going to happen in the future, what happened in the past, and/or your stress and the more you focus on your meditation practices, the calmer you’ll feel. Meditation has been used for centuries to reduce stress and stimulate relaxation. It works so well as a relaxer that it has even been known to slow heart rates. Being self-aware is a crucial quality to success, humility, and being an overall good person. Meditation encourages you to reflect inwardly and focus on your inner-self. That will encourage you to reflect on your actions and yourself as a person. Focusing on your inner self will help to improve your self-awareness, which is a highly sought after trait. Self-awareness allows you to correct any errors you make or fix character flaws you may have. It helps you to be a better employee, boss, friend, and an all around better person. Meditating can improve your focus because it forces you to practice focus each and every time you meditate. True meditation requires great focus and control. It forces you to spend a designated amount of time in the absolute present, in self-reflection and true focus. Improving your focus can also help to improve your productivity, which will make you a better employee. You’ll be able to focus on your work better, completing it more accurately and more quickly. The more you meditate, the better balance you can achieve in your life. The time dedicated to self-reflection allows you to reach a level of understanding and awareness that helps you be a better and more understanding person. This better balance helps you to be a better person because it enables you to be more aware of a problem or flaw in your character that you need to address. Meditation can help you reach a balance of self-awareness, self-respect, humility, confidence, and peace/relaxation. Not only can meditation help you improve your self-awareness, it can also help you be more aware of those around you and their feelings. You’ll start to notice when your friends feel uncomfortable or are in pain. You will become better at reading or assessing the general mood and energy of the room. You’ll be better able to adjust yourself to match that level and better accommodate those around you. The more you meditate, the more in tune with yourself and your body you will feel. This will help you to better understand yourself and others around you. It will boost your awareness and help you to be more aware of those around you. Most importantly, it will help you more quickly realize when something is off or wrong. Meditation is something that many of us want to do well to gain the benefits associated with the practice. Unfortunately, for many of us, the constant mind chatter can make it frustrating to sit down and meditate for any period. If you are just starting your meditation practice, here are five great ‘how to meditate’ techniques that can set you on the path to mindfulness. This is one of the best techniques if you are just starting out in your meditation practice. It is an ancient and powerful technique that is extremely effective. 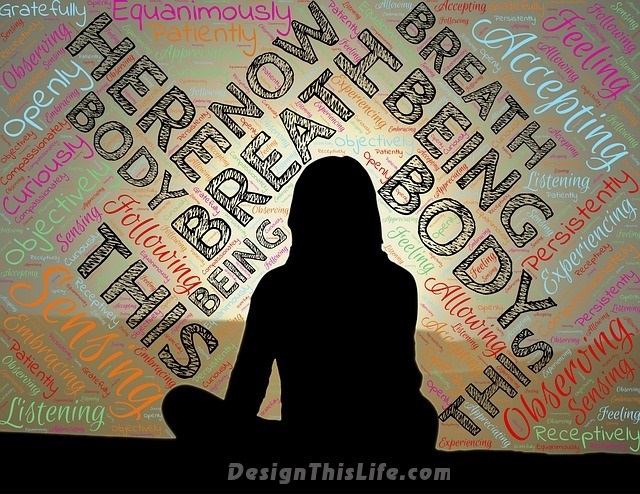 By just paying attention to your breathing, you give your mind a point of focus in a relaxed way. To start this technique, get yourself in a comfortable position. Close your eyes and slowly begin to observe your breathing. Pay attention to how it feels as you breathe in and out. If you find your mind starting to wander, just bring your focus back to your breathing. In mindfulness meditation you become fully present in the moment by paying attention to the sensations in your body. Start the practice by focusing on your breathing, then allow yourself to become aware of the other sensations running throughout your body. You don’t want to analyze or judge the experience; you simply want to observe. By repeating a sacred word, like “aum” or a meaningful phrase, you can bring your mind into a state of tranquility. With this technique, you can either repeat the mantra out loud or repeat it to yourself silently. Several years ago, during a most stressful time in my life, I used the verse: “be still, and know that I am God” from Psalm 46:10. I repeated that verse over and over again until calmness and peace came not only to my mind, but my body as well. If you don’t think that you can sit still for an extended period, you can try the walking meditation technique. This can be done anywhere. You simply have to focus on your body as it moves. Focus on how your arms swing, how your legs are lifted and extended, and how your feet rise and touch back down on the ground. If your mind starts to wander, bring your focus back to the movement of your body. Empty minded meditation, allows you to be aware without having to have a specific focus. To practice this technique, sit quietly in a comfortable place. Close your eyes and let your thoughts freely float in and out of your mind. Observe each thought as they enter your mind without any attachment or judgment. These five meditation techniques are simple enough that you now know how to start meditating today, or even enhance an existing routine.